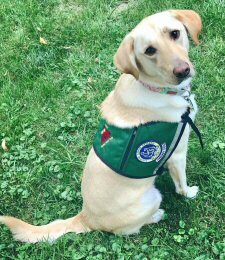 Local therapy dog organization, Healing Heart Therapy Dogs, provides this wonderful opportunity for children ages 6 to 12 who have experienced reading difficulties or who just need to practice their reading. Therapy teams are partnered with children who polish their skills by reading aloud to a dog. Children read to dogs in 20-minute shifts, once a week for six weeks. Watch for a new session to start soon!